Have you heard the rumor that dryer sheets can repel mice? Mosquitoes? Even bees? Although the evidence of this rumor is shaky at best, it seems like a good idea to question an item claiming to have the ability to repel animals, especially if that item is used on clothing and, as such, leaves chemicals behind that are in prolonged contact with your skin. But what would you use if you didn’t use dryer sheets? Well, time to consider Nellie’s Dryerballs. 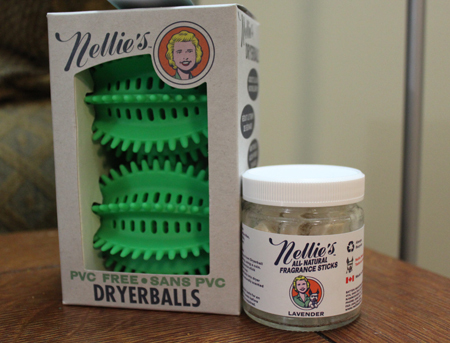 Nellie’s Dryerballs are reusable plastic balls that are added to the dryer in lieu of dryer sheets. They claim to: soften fabric naturally, reduce drying time, have no chemicals, reduce lint and wrinkles, and reduce ironing. I purchased mine in conjunction with a pair of reusable dryer sheets last November and haven’t looked back! Coming from a multiple pet household, our family seems to have a never ending pile of towels, dog beds, and comforters in need of washing. Even with our new dryer that is meant to ‘sense’ when laundry is dry, these bulky items would often dry on the outside but would still be wet in the inner folds. Not anymore! The dryerballs do succeed in reducing drying time, but more important in my book, they almost always prevent the problem of sheets or towels wrapping around themselves- making items not only dry faster but also more completely! In that sense, I believe the items are also less wrinkled and in less need of ironing if removed from the dryer right away. Unfortunately, I am the person who forgets anything is in the dryer and is surprised to find it a couple days later when I go to dry my next load- so wrinkles are something I’m used to living with. As for the other claims, I’ve never had an issue with fabrics not feeling soft enough, and I didn’t notice a difference when we switched to dryerballs. However, even with the reusable dryer sheets, static cling was slightly more noticeable in loads with troublesome fabrics- i.e. my husband’s wool socks. We’ve always had trouble with these items, though, and the addition of the dryer sheets did help. I’ve also found the dryerballs work best with full loads of laundry- but we’re all doing that anyway, right? But if you do try to use them in small loads, they can make quite a ruckus as they bounce around in a less-than-full-dryer. Want to give your own dryerballs a try? Well, the gracious people at Nellie’s All Natural are offering a free giveaway of Nellie’s Dryerballs. Just ‘like’ Nellies All Natural on facebook and return here to leave a comment telling us you did so. A winner will be picked by random number generator and posted on Tuesday, March 8th. One last word of caution: if your husband is as childish as mine, he will snicker ever time you say “dryerballs.” You’ve been warned. I hate fabric softener. It just feels greasy. Maybe it’s the types of fabrics I wear, but I haven’t noticed my clothes being any less soft since I quit using the stuff years ago. That being said, I have a pretty limited wardrobe, so I wouldn’t be surprised if some fabrics do need something. As for static (the other benefit from softeners) I just take my clothes out before they over-dry. I’ve found a setting on my dryer that cuts off when the clothes are dry but they haven’t gotten full of static cling. The lower heat seating I use also seems to be gentler on the clothing. Occasionally, a heavier garment or a couple of items in a bigger load will end up a little damp at the end, but not so much that hanging over the back of a chair for 30 minutes won’t finish the job. Not a fan of fabric softener at all – the thought of putting a bunch of chemicals and wax on my clothes to make them softer just seems like a bad idea to me. I’d love to give these a try though! “liked” as brandewijn on fb…thanks! I would love to try these and “liked” Nellie’s on fb. Thanks! I liked Nellie’s on facebook. I have a very old pair of dryer balls that are starting to fall apart, could really use a new pair. I liked nellies fb page. I have been using another brand of balls for about a year now, and the great thing about dryer balls is not only do they do the job as a fabric softener, the reduced my dryers time by 10-15 minutes so they save energy as well! I’ve used the “as seen on tv” dryerballs for a couple years now, never tried nellies. however, I do love them. For static cling, I use white vinegar in my washing machine rinse cycle and the balls in the dryer. If you’re drying natural fabrics this seems to be sufficient, and I generally don’t have issues. If your wash contains artificial fabrics it may not be enough. There are dryer sheets that aren’t so toxic, like sun & earth. I pop a half of one of those in if I’m drying artificial fabrics. A box lasts me a year since most of my clothing is natural fibers. And yes, my hubby too does snicker every time I mention dryerballs. I’ve never tried dryerballs before. I sometimes use vinegar in the rinse, but that’s it. I don’t notice static or scratchy clothes, but I’m also not a picky gal! I “liked” Nellie’s on Facebook and hope to give them a try! I rarely use a dryer, but I’ve never been a fan of fabric softener sheets or liquids, so anything that isn’t an additive or that you have to keep buying is a good thing. 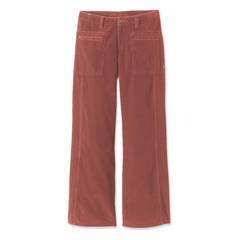 I ‘liked’ Nellie’s All-Natural on Facebook and really want to try them out in my own dryer. Dryer sheets shouldn’t be used with towels (since they bind the fibers and make them less absorbant over time) so I’m very excited about having an alternative! I “liked” Nellie’s All-Natural on Facebook. I hope I win some dryer balls. I line dry my towels on a rack indoors then fluff them in the dryer the next day and they really need a little help to be soft. A dryer ball would be great! I love discovering new products like these! I just liked Nellie’s on FB and am pumped to try the dryerballs out, whether given to me or purchased. I’m wondering whether the PVC-free version is worth the extra $3 since I don’t plan to use the fragrance inserts they mention, and the PVC-free ones don’t say they’re good for 2 years like the original recipe. One way or another, though, I’m going to give them a try! I also “liked” Nellie’s on Facebook. I stopped using liquid fabric softener as it gunked up too much. I’m back to using the ‘all natural’ dryer sheets, but I know I can do better. I’ve never even heard of dryerballs before, except to use tennis balls in the dryer when drying sneakers. I “liked” Nellie’s on facebook, and I would love to try these — I’ve long been wary of dryer sheets because of the chemicals they contain and because I have super-sensitive skin. This seems like a great alternative! Wow-couldnt put your article down.GREAT information. Hope to see more articles like same. there are many more uses. Great for cleaning and baths.Would like a Nellie-where are they purchased?